The salmon fishing in Sooke is great right now! 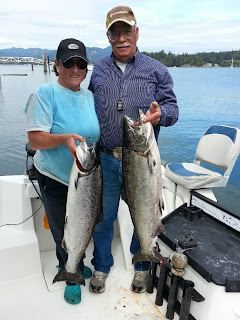 Lots of spring/chinook salmon around, plus coho and pinks too. And the normal August weather, sunny & calm or foggy & windy, and changing quickly. Fun times on the water.....see the photos below.